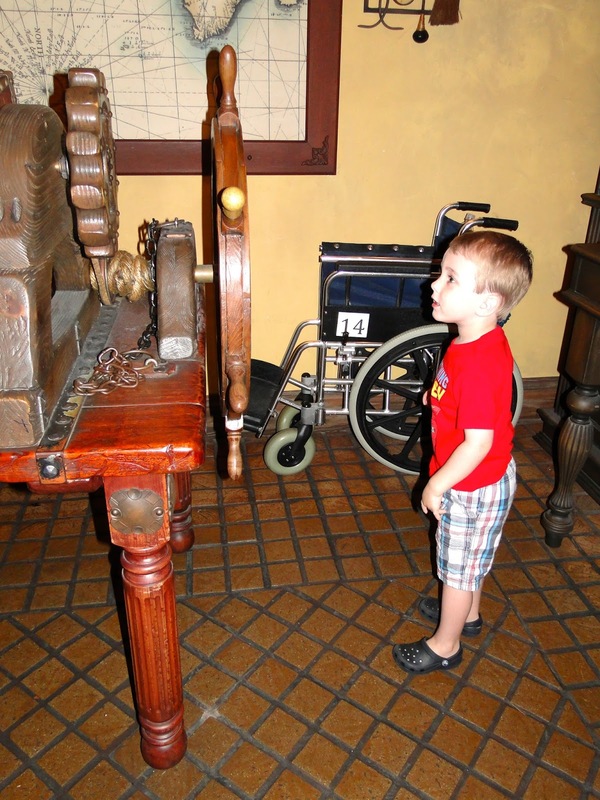 Last September when we visited Disney Kye was REALLY into the Pirates. I mean he’s always loved the ride but on that trip we were all making pirate faces and singing “yo ho” like nobody’s business. 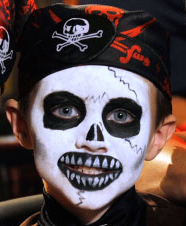 We happened to see a kid who had done the Pirate’s League and had his face entirely painted and was decked out in Pirate gear. Kye LOVED it and mentioned it several times and even asked flat out if he could do it next time we went to the park (I even talked about it in this post and how we’d never be doing it). When we were planning this trip we had $50 extra to spend on Kye. I figured why not at least look into it, right? I mean I’m not a huge fan of face paint but it would be such a neat surprise to see Kye so happy and he has that pirate costume I got from a kids sale so why not take advantage of the opportunity while the costume still fits! I was SHOCKED when I called to get some details and found out that is was only $37! I mean, don’t get me wrong, $37 ain’t no joke but I had always heard that the Bippity Boppity experience was in the hundreds so I assumed the Pirates thing would be closer to that amount for sure. Since we weren’t 180 days out from our trip we didn’t have a super desirable time slot but I took it! 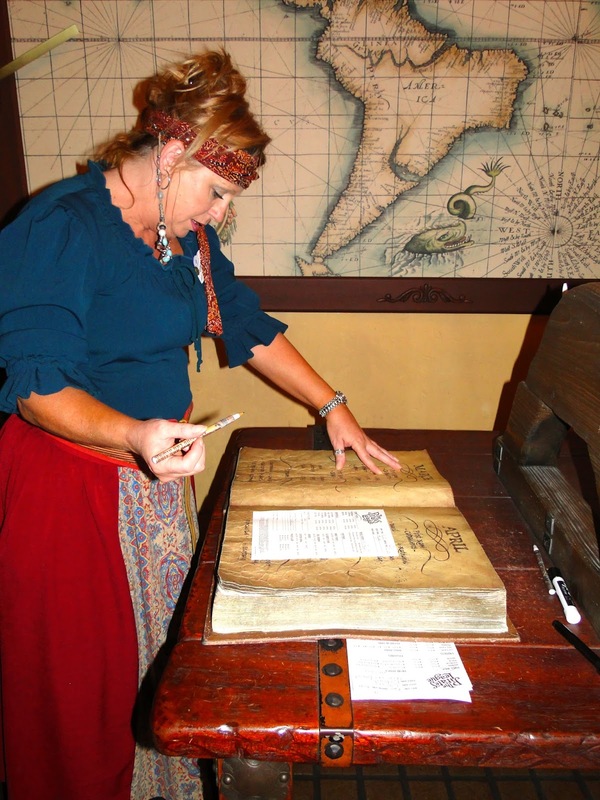 The experience would include: face painting of his choosing, sword, earring, eye patch, sheath, coin necklace, pirate oath, bandana and tattoo. As well as a special surprise! The experience takes around 90 minutes and parents are more than welcome to be there with their child. I thought it sounded like a great opportunity and one that made sense to take advantage of while Kye is our ONLY Disney kid. 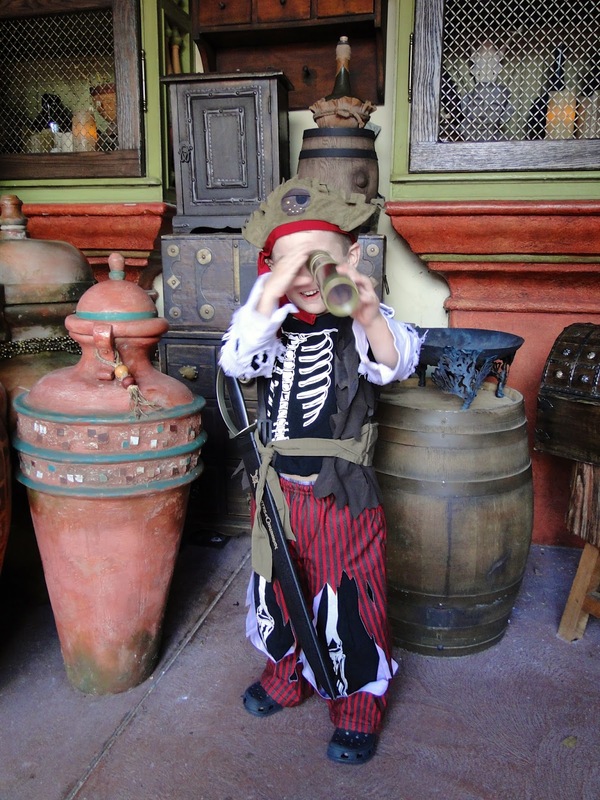 Although I was pumped to hear they do a girl’s experience too and that she can choose to be a pirate or a mermaid (duh, that WILL be happening someday for Britt!). Also all participants are invited to take part in a parade later in the day! Super cool! This is similar to what the boy looked like that Kye wanted! 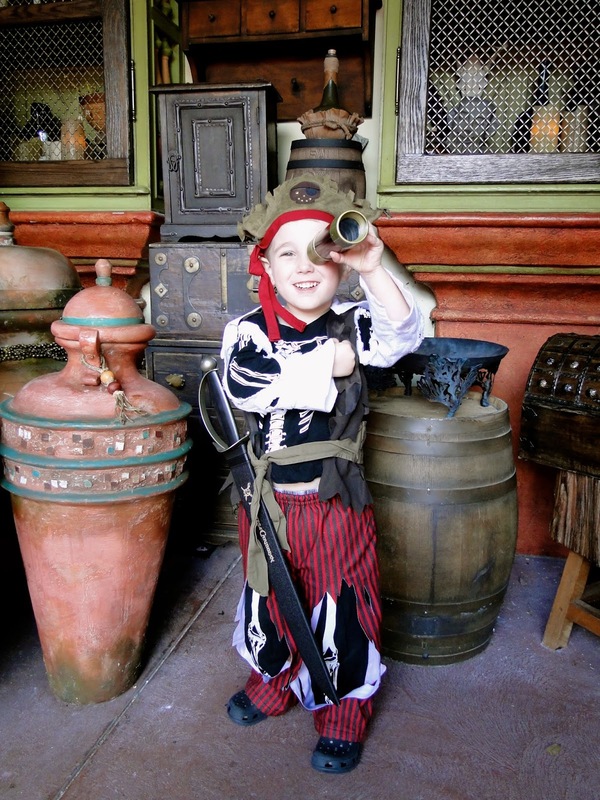 Seeing that our surprise didn’t work out how we had planned for the trip, we decided to go ahead and tell Kye about the Pirate’s League in advance. We realized he would get more joy out of it having that anticipation! We told him that morning while waiting for the opening show to start and he didn’t have the greatest reaction about it either…in fact, he wasn’t even excited. 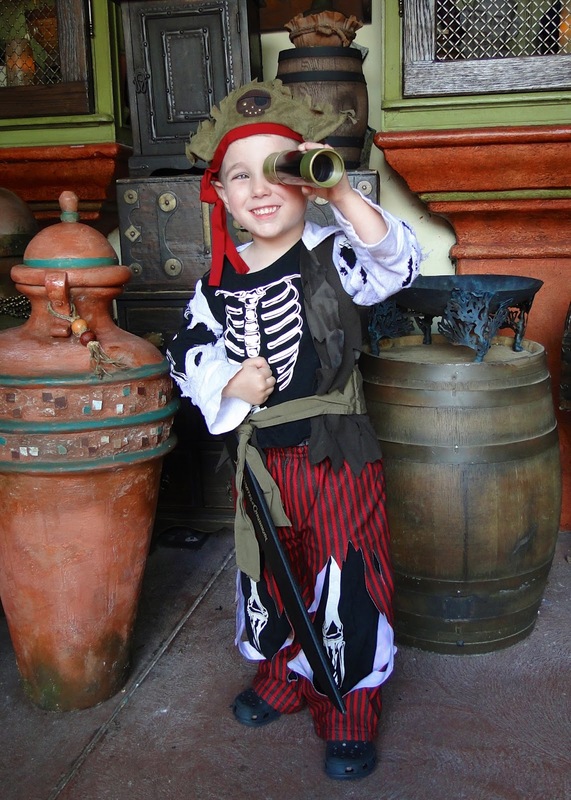 He said he didn’t want to be a pirate and that he wants to just be Kye Parker all the time. We reminded him about the boy we saw before and how he had said he wanted to do it but he just wasn’t that into the idea. We rode the ride and then came back for our appointment time. Kye simply didn’t have an interest in it. 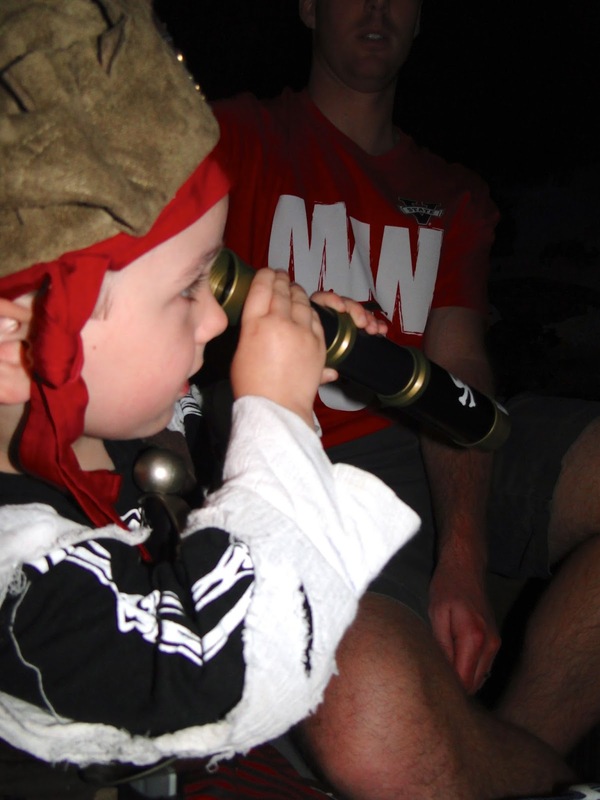 In fact, he was adamant about not wanting to become a pirate. 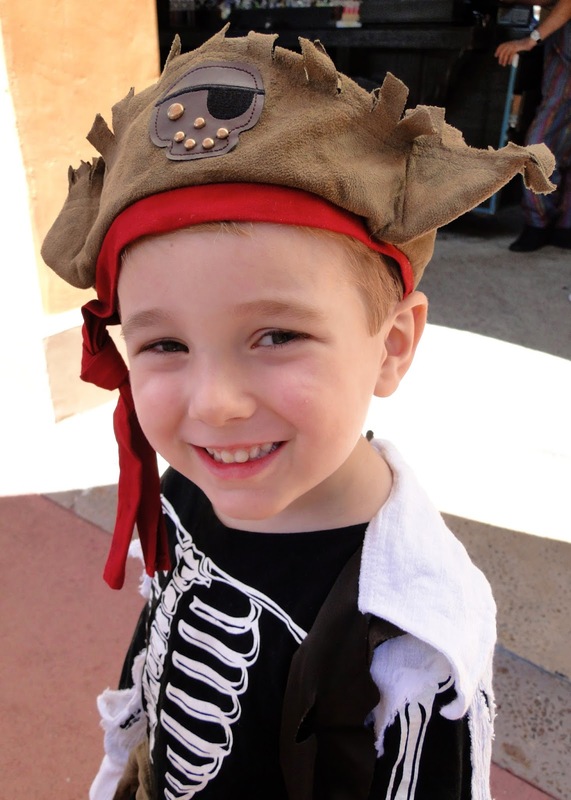 The cast members were SO SWEET and told him that we could go back, pick out a pirate name for him, and see the other kids doing it and see how he felt about it then. He got to spin the wheel to pick out his name! I actually can’t remember what is was…something about Storm…Storm Water? Storm Chaser? Since we were early for his appointment (yes, STILL early haha) we were able to sit and watch the other kids. It was SUCH a cool room and neat set up! We tried to hype it up for Kye and make him excited. But he didn’t want to do it. And ya know what? That’s okay! He’s never had his face painted before and neither Zach or I like that sort of thing so I don’t blame him for not wanting it. You have the option to skip out on the face paint portion but still do the rest of the experience…however….they still charge you the $37. I looked at Zach and said if he’s not going to do the face painting, then we needed to back out before we paid for it! We talked to Kye and asked what HE wanted to do. He said he DID want to be a pirate (for just pretend, of course, b/c he is KYE PARKER haha) but that he didn’t want his face painted. 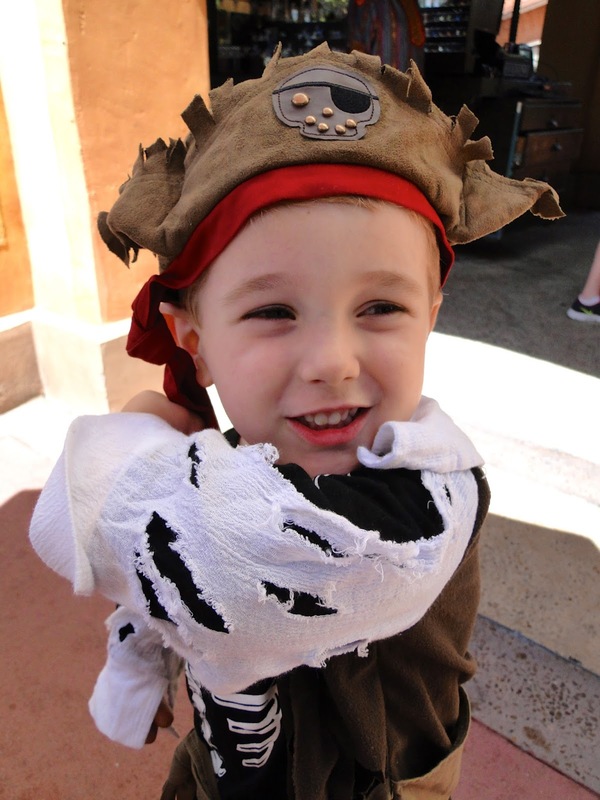 He said he just wanted to put on his pirate costume and ride the pirate ride and take some pictures (a boy after my own heart for sure haha) and then change back into his Lightning McQueen shirt. I’m thankful for the long talk Zach and I had in the car after we were disappointed in Kye’s reaction to the surprise about the trip. I think that talk helped us handle this situation SO MUCH better. We weren’t disappointed or bummed that he didn’t want to do it. We went with the flow and, really, our day ended up being even BETTER because we didn’t spend all the time that experience would have taken up doing it! 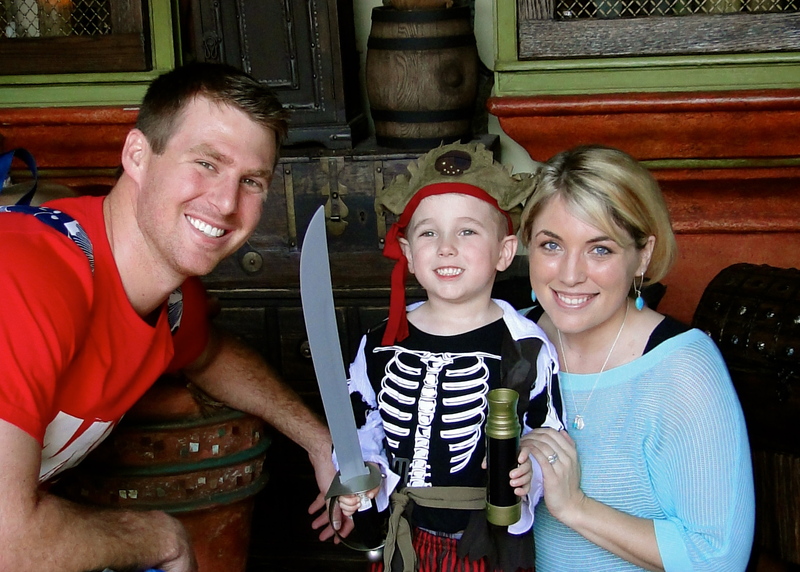 We talked about it and still wanted Kye to get the fun, pirate experience so we went into the Pirate’s Gift Shop and let him pick out two pirate things. He picked a big sword and a spy glass thing. Um…the sword was like $8 and the spy glass thing was $5 or $6. So we spent around $15 rather than $37! Works for me! We went into a nearby bathroom and changed his outfit. 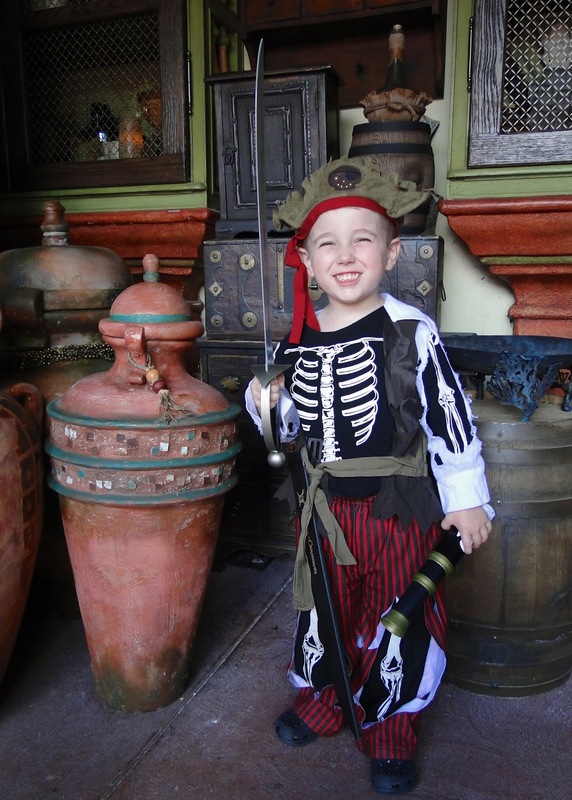 He was really having a great time with it and posed for some super cute pictures before we rode Pirates again! People kept walking by and talking about how cute he was and someone offered to take a family photo of us, which I really appreciated!!!! I’m not sure how much of the ride he was able to see since he used his spy glass the whole time! 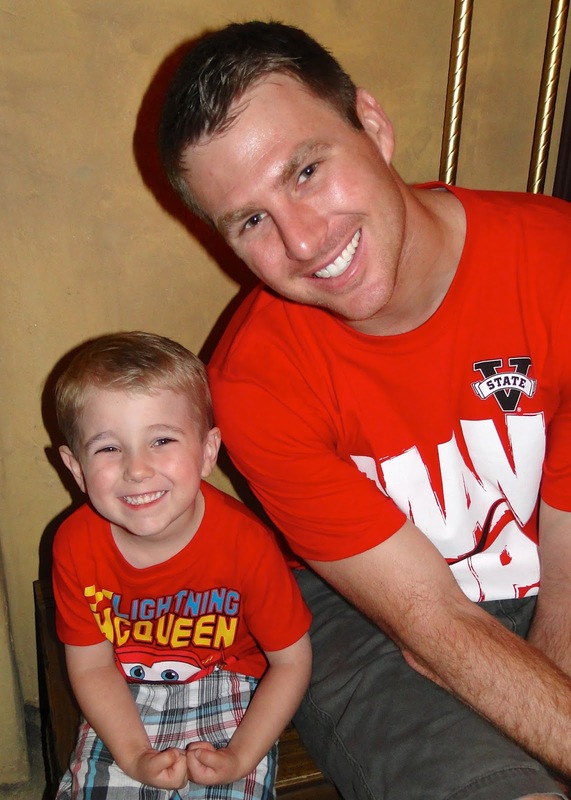 After the ride we went to eat our lunch and Kye was ready to change back into his Lightning Mcqueen shirt and put away “Captain Kye” for the day. 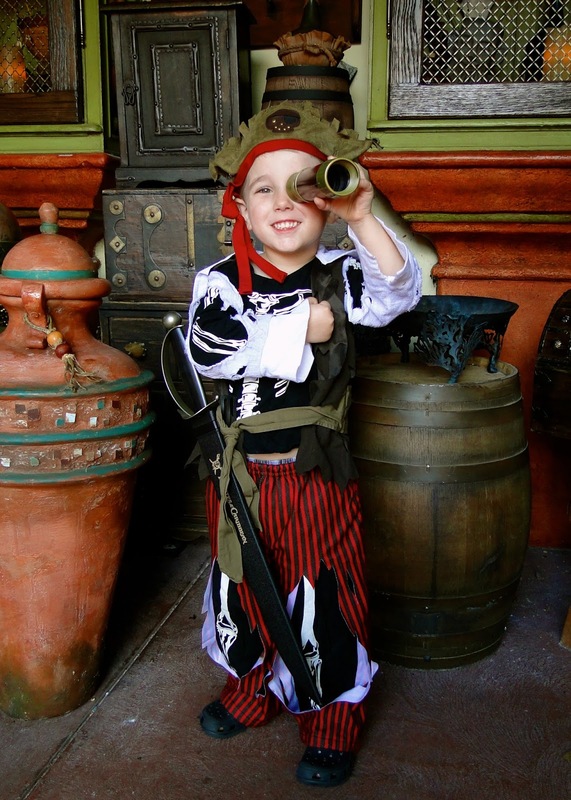 I’m not really sure if we’ll try doing the Pirate’s League again with him anytime soon. I was thinking once Britt is old enough to want to dress up we may offer it to both of them…he will be older by then and may enjoy it more? I’m thinking maybe he’ll like it once he’s like 7? More in the make-believe type age? I do think it’s such an AWESOME experience and hope to get to participate in it someday…but for now I’m just as pleased to have regular Kye Parker with me at Disney! Previous Post New Disney Rides!